Consumers keep spending, the economy keeps growing. Mortgage rates are easing lower this morning on just-released, slightly worse-than-expected Retail Sales data from December 2010. 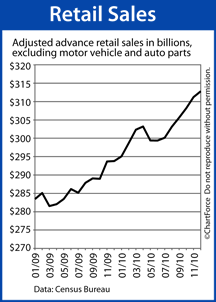 Excluding motor vehicles and auto parts, December’s sales receipts were $1.5 billion higher from November. Analysts had expected a number north of $2 billion. Despite falling short of estimates, however, December’s reading is the highest in Retail Sales history, surpassing the previous record set in July 2008, set during the recession. 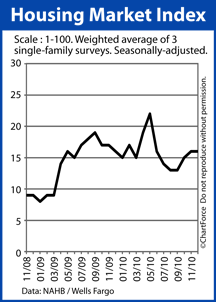 In addition, December’s strong numbers helped 2010’s year-over-year numbers go positive for the first time in 3 years. 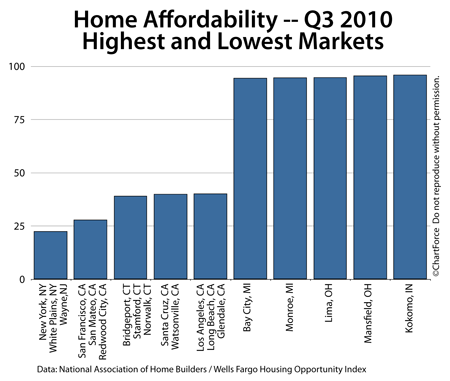 Although the data is a mixed bag for Wall Street, home affordability is improving today. The link between Retail Sales and home affordability may not be up-front obvious, but in a post-recession economy like ours, it’s often tight. 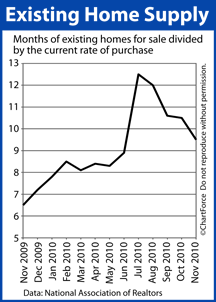 Retail Sales is another name for “consumer spending” and consumer spending makes up more that 70% of the U.S. economy. As spending grows, the economy tends to, too. Investors recognize this and start chasing “risk”. It becomes a boost for the stock market, but those gains are made at the expense of “safe” asset classes which include mortgage-backed bonds. Mortgage-backed bonds are the basis for conforming and FHA mortgage rates so, as bond markets sell off, asset prices fall and rates move up. Thankfully, rate shoppers will avoid that scenario today — at least for today. December’s Retail Sales results are a factor in the bond market’s early-day improvement. Conforming and FHA mortgage rates across the state of Massachusetts should be lower today. On the first Friday of each month, the Bureau of Labor Statistics releases its Non-Farm Payrolls report. More commonly called “the jobs report”, the government’s data include raw employment figures and the Unemployment Rate. The jobs report hit the wires at 8:30 AM ET today. It’s making big waves in the mortgage market and may help home affordability for buyers this weekend, and would-be refinancers across New Hampshire. For this month, and for the rest of 2011, employment data will figure big in mortgage markets. 7 million jobs were lost in 2008 and 2009. 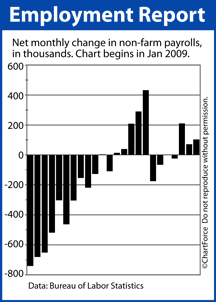 Fewer than one million jobs were recovered in 2010. For the economy to fully recover, analysts believe that jobs growth is paramount. It’s a self-reinforcing cycle and, as business grows, the economy expands, pushing stock markets higher. This tends to lead mortgage rates higher, too, because bonds can lose their appeal when stock markets gain. According to the government, 103,000 jobs were created in December, and October’s and November’s figures were revised higher by a net 50,000 jobs for a total of 153,000 new jobs created. Economists expected a net gain of 135,000. The Unemployment rate fell to 9.4, its lowest level since mid-2009. Wall Street is voting with its dollars right now. Mortgage bonds are improving, pointing to slightly lower mortgage rates today. The Pending Home Sales Index surged 10 percent in October as low mortgage rates and low home prices spurred buyers into action. A “pending home sale” is an existing home under contract to sell, but not yet closed. The Pending Home Sales Index is at its highest level since April 2010 — the contract deadline date for this year’s federal home buyer tax credit program. 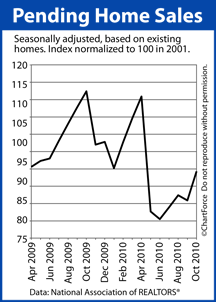 The jump may also explain why home builder confidence is rising even as the number of new homes sold fades. Builders are seeing buyers’ renewed interest in housing first-hand and expect the next 6 months to be dramatically better. 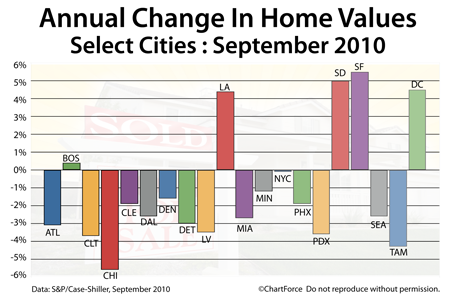 On a regional basis, gains in October’s Pending Home Sales Index varied as compared to September. The Midwest led the charge, and the West was the laggard. 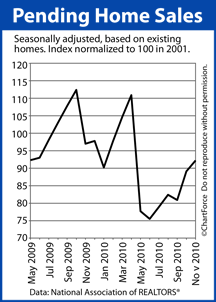 Home buyers should take last month’s Pending Home Sales Index to heart. According to the National Association of Realtors®, 80 percent of homes under contract close within 60 days, so we can reasonably expect November’s and December’s existing homes sales data to be similarly strong. In other words, the housing market is heating up and may have already shifting toward sellers. Changes like that lower buyer leverage, and increase the cost of homeownership. Coupled with rising mortgage rates, the shift is even more defined. The best time to buy a home this year may have already passed. The next best time may be right now. 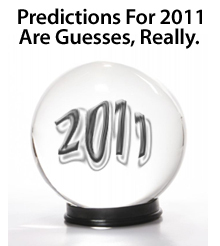 Talk to your real estate agent if you’re planning to buy a home in 2011. It may be smart to move up your time frame.